Our warehouse is conveniently located close to the Port of Baltimore to easily accommodate local drayage and cross docking needs. Our drive in dock allows us to also load or unload vehicles and equipment. We can accommodate long and short term storage needs. We also provide pick/pack and distribution services. 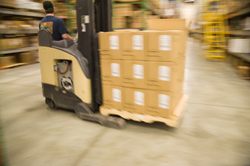 We utilize 3PL Central Inventory control software to track your receiving, shipping and inventory. You will be able to access this software and run reports from any computer with an internet browser. Call and talk to one of our knowledgeable and experienced staff today at 410-238-7759!